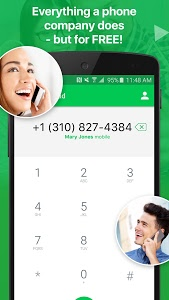 • Allows the app to read personal profile information stored on your device, such as your name and contact information. This means the app can identify you and may send your profile information to others..
• Allows the app to modify the data about your contacts stored on your device, including the frequency with which you've called, emailed, or communicated in other ways with specific contacts. This permission allows apps to delete contact data..
• Allows the app to modify your device's call log, including data about incoming and outgoing calls. 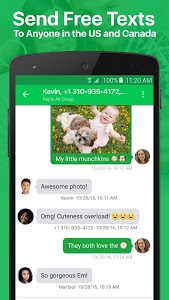 Malicious apps may use this to erase or modify your call log..
• Allows the app to receive and process MMS messages. This means the app could monitor or delete messages sent to your device without showing them to you..
• Allows the app to write to SMS messages stored on your device or SIM card. Malicious apps may delete your messages..
• Allows the app to read your device's call log, including data about incoming and outgoing calls. 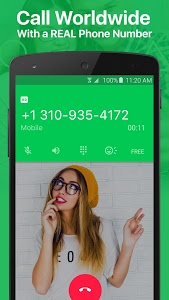 This permission allows apps to save your call log data, and malicious apps may share call log data without your knowledge..
• Allows the app to send sticky broadcasts, which remain after the broadcast ends. Excessive use may make the device slow or unstable by causing it to use too much memory..
• Allows the app to capture and redirect audio output..
• Animated GIFs are now even better thanks to Gfycat! 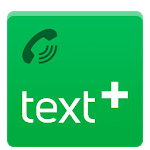 Similar to "textPlus: Free Text & Calls"